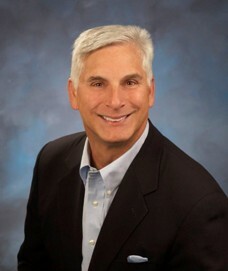 Chris was appointed President and Chief Executive Officer in April 2012. He brings a wealth of executive and industry experience to TransCorp Spine with over 25 years in the healthcare and medical device industries. Chris also brings his creative and strategic thinking along with his ability to select driven individuals and develop strategic organizations that are focused on achieving growth and expansion through innovation. Chris has held several management positions of increasing responsibility within the healthcare industry, including Baxter, Johnson & Johnson, I-Flow and Kimberly Clark, generating triple-digit sales growth and multimillion dollar revenue streams. Most notably, he was General Manager and Vice President of Sales at I-Flow, where he architected a sales transformation that resulted in the I-Flow acquisition made by Kimberly Clark. TransCorp Spine, Inc., founded in 2007 by Spine surgeons and engineers, is focused on developing innovative, minimally-invasive products and procedures that restore spinal function and preserve healthy tissue to set life back in motion for spine surgery patients. CEOCFO: Mr. Welch, would you give us a brief introduction to TransCorp Spine? Mr. Welch: TransCorp Spine is an early-stage company that has focused on developing a surgical method to perform a cervical micro decompression from a different approach to the classic ways of doing this, which is commonly known as an ACDF. TransCorp has developed a minimally invasive technique of performing a cervical micro decompression for patients that have a herniated disk in their cervical vertebrae area which is causing some radiating pain in their arm or neck. The typical way of doing this is a procedure known as ACDF which includes removing a patients disk, placing an inter-body device, using a cervical plate and fusing those patients, which of course is irreversible. We have developed a new technique known as TransCorp TCMD, whereby you can perform the decompression without the need for a fusion or any additional hardware such as cervical plates and screws. This procedure was designed and developed by Dr. David Lowry in Holland MI. and we have been developing the method as well as the associated products to perform the TransCorp TCMD procedure. CEOCFO: Is it one product or a combination of products that work together? Mr. Welch: It is a combination of reusable instruments and disposable kits known as Spineport. The system includes angle guides, surgical instruments, an adjustable drill and a product which fills the channel to restore the patients vertebrae back to baseline as part of the procedure. CEOCFO: What is the name of the platform? Mr. Welch: The name is Spineport. We call our procedure a Trans Corporeal Micro Decompression. The acronym is TCMD. CEOCFO: Are you still in development or are you working on commercialization? Mr. Welch: We continue to work on commercialization. We are 510k approved since April of 2012. We have built instruments and angle guides to perform the procedure so now we are out in the market trying to gain adoption with neurosurgeons and orthopedic surgeons to this technology. CEOCFO: How are you getting to meet these people; is it through sales staff, telemarketing or is it through partnerships and distributors? Mr. Welch: It is through a combination of all of those things. Right now it is myself and my director of sales that introduce the technology at tradeshows, individually and word of mouth. We do not have a large direct organization at this time so we work with regional 1099 representatives who are not employees of the company who are distributing other spine type products. We contract with those representatives in their regional markets. So it is a combination of doing some direct work myself and with my director of sales, word of mouth with some surgeons who are adopting the technology and then through some 1099 industry representatives out in the marketplace. CEOCFO: How has the medical community been receptive? Mr. Welch: The medical community has been very receptive. Curiosity and interest to learn new techniques that can reduce the number of cervical fusions has been encouraging. It still remains challenging to change the behavior from how things have been done in the past to new technology whereby the patients� benefits, we believe, are much better. The TransCorp procedure is a motion preserving procedure which can be utilized in place of doing a fusion for a select group of patients; it is not for everybody but there are a certain percentage of patients that would fit our profile perfectly whereby they can avoid having a fusion. Changing that paradigm from the classic way of doing things which has been done for thirty years is challenging to get people on board to think about something new. The value proposition for the patient is excellent and the cost of doing the procedure is generally less for the hospitals than the standard way of doing ACDF�s but it takes the surgeon�s support to get the full benefit of the procedure. We have to train and educate more surgeons on this technology and get them comfortable to include TCMD as part of their repertoire of skills to offer their patients a non-fusion way to relieve their radiating arm or neck pain. CEOCFO: Are you viewing the sales of this strictly in the US or are you eventually looking for global recognition for your product? Mr. Welch: Eventually we will take our technology global but right now with our 510k we are working exclusively in the US. This application/technology and method should be received extremely well globally. We do not have the resources at this stage to go beyond the US right now. CEOCFO: Do you have the funding in place to commercialize in the US or will you need to reach out to investors? Mr. Welch: We will need to seek additional funding to continue to support the efforts of gaining more adoption in the marketplace. Funding right now is challenging but we feel like we have a great product and method, an excellent story and we will be seeking more funding in the very near term. The other alternative for us is to seek a strategic partner, a larger company that sees this technology as something that could be included in their lineup of offerings in spine surgery. CEOCFO: Why should investors and the business community pay attention to TransCorp Spine? Mr. Welch: The defined market for spine surgery will continue to grow. We feel like we are in an excellent position to address the needs of the market, the healthcare system and the needs of potential patients that may require spine surgery over the next ten years. We also feel like the value proposition of performing a minimally invasive micro decompression without a fusion is a great alternative for patients and the healthcare system. As consumers become more aware of the kind of healthcare they will receive, they will learn of alternative ways which are less invasive or minimally invasive and we feel like we have an excellent method with a broader view of how healthcare will be managed. We also feel like we have a good story around the cost of our procedure with the payers cutting back on reimbursement and things tightening up from economic point of view. We feel like we have a cost-friendly method that the delivery systems of healthcare will find attractive. We feel like we are in a good place from both an innovation and economic perspective.